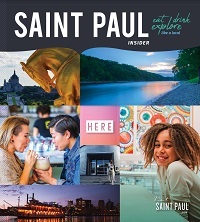 District Energy St. Paul provides heating and cooling services to downtown Saint Paul. Operating as a non-profit, District Energy is committed to providing the most reliable, affordable services through the best available technologies. District Energy is a "green energy" heating and cooling service provider, and its primary fuel is a renewable, local resource: clean, urban wood waste.